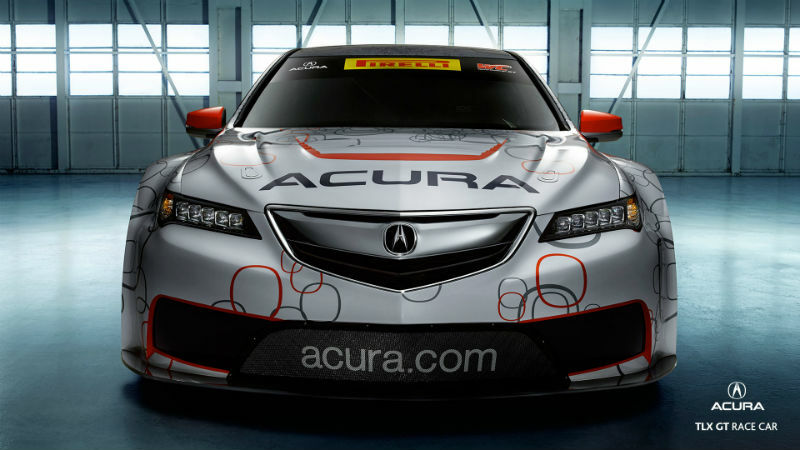 Acura Motorsports today announced that the all-new 2015 Acura TLX GT will make its Pirelli World Challenge competition debut at 30th May-1st June Detroit Belle Isle Grand Prix double-header race weekend. To be campaigned by long time Acura Motorsports partner RealTime Racing, the TLX GT will move Acura into the top category of the Pirelli World Challenge, facing competition, which includes the Cadillac CTS-V, Audi R8 LMS, Dodge Viper, Chevrolet Corvette, Mercedes SLS, Lamborghini Gallardo, Porsche 911, Ferrari 458 and Nissan GTR. Art St. Cyr, Vice President of Product Planning and Logistics at American Honda and President of Honda Performance Development said, the competition in 2014 Pirelli World Challenge is incredible, however the automaker has never shied away from strong competition, on the race track or in the marketplace. The 2015 Acura TLX GT is a true luxury sport saloon, so it is fitting that the car be raced against several of its natural rivals, and even some upmarket brands, in the Pirelli World Challenge. 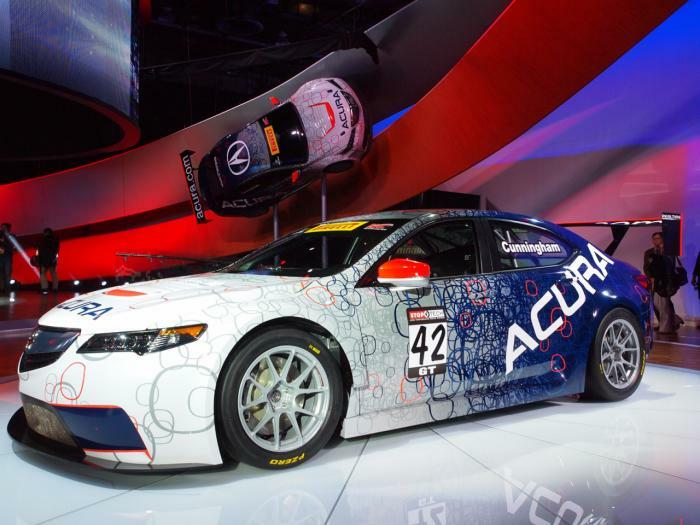 Developed from the production Acura TLX by Honda Performance Development, the racing arm of American Honda Motor Company, Inc., the Acura TLX GT Race Car will feature HPD aerodynamic performance parts and chassis approved for Pirelli World Challenge competition. It will be propelled by a twin-turbocharged direct-injected V6 powerplant, designed and engineered by HPD from the normally aspirated, production TLX luxury sport saloon. It will use all-wheel drive, as found in Acura’s SH-AWD (Super Handling-All Wheel Drive) system. RealTime Racing, the most successful team in Pirelli World Challenge history, will initially field a single Acura TLX GT for owner/driver Peter Cunningham, with a second car to be added at a later date. RTR has raced and won with both Acura and Honda products for more than 20 years. Since entering the Sports Car Club of America Pro Racing-sanctioned World Challenge series in 1993, RTR has scored a record 85 race victories on its way to 14 Drivers’ Championships and 14 Manufacturers’ Championships. Honda Performance Development was established in the year 1993 as a performance arm of American Honda, to spearhead the automaker’s entry into Indy car racing. No other automaker has matched Honda’s success in Indy cars, which includes 15 drivers’ championships, 204 race victories, nine consecutive Indianapolis 500 victories (2004-2012) and six manufacturers’ championships. Last year, Honda powered veteran Scott Dixon to four race wins and the 2013 IZOD IndyCar Series championship; and Tristan Vautier to series Rookie of the Year honors. HPD’s prototype racing efforts have resulted in multiple American Le Mans Series championships and more than 60 victories. The company’s sportscar racing debut in 2007 at 12 Hours of Sebring marked the first win for HPD’s LM-V8 engine and the first for a Honda racing powerplant developed and designed outside of Japan. HPD won the LMP2 title in the inaugural 2012 World Endurance Championship and has twice won the LMP2 category at the 24 Hours of Le Mans since 2010. In 2013, Honda and HPD again swept the LMP2 and LMP1 manufacturers’, engine, team and drivers’ championships in the American Le Mans Series; while HPD-equipped Strakka Racing claimed the LMP1 class win at the 24 Hours of Le Mans for private team entries. Honda Performance Development participates in competition on both two wheels and four. The company provides a complete line of race engines for cars from grass roots to pinnacle; for professional, amateur and entry level racers.